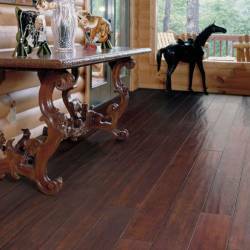 Prefinished hardwood floor finishes are superior to sand and finish in place floors. Reasons being, they are applied in controlled manufacturing environments where airborne particles are not existent. Typical prefinished floors contain seven and upwards of ten coats of finish whereas site finished floors are common at two or three. Furthermore, newer finish technologies containing aluminum oxide and other proprietary names of similar content cannot be successfully applied on site with sand in place flooring. Keep in mind prefinished floors with aluminum oxide finishes will scratch just as much as others. 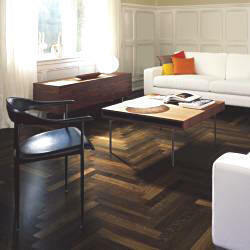 The underlying case salespeople do not tell you about these types of floors is the finishes are only resistant to wear. With prefinished floors there is no waiting time. Once the floor is installed, furniture (1) can be moved back in. Site finished floors need time to cure and harden. Without doing so, floors will scratch much easier. Oil based finishes will require a longer curing time over water based finishes. 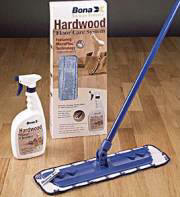 Odors will be prevalent for weeks with oil based finishes where water based will not. 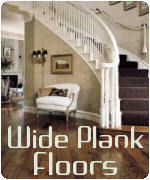 Micro bevels are common with practically all prefinished floors. Many ask, why do they make these types of floors? The answer lies in the manufacturing process. 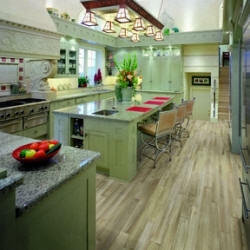 It is extremely difficult to manufacture a floor that will look similar to a sanded and finished in place one. Hence, manufacturers cut a chamfer on the edges of the boards to mask any imperfections. Depth and sizes will vary from one manufacturer to the next. See our board edge type descriptions. Minor imperfections in overwood during the milling process prevents prefinished floors from being sold as a true square edge. Sure, you may see some descriptions on our site that actually indicate they are square edge, but looked at closely once installed you will see an overwood characteristic. Since the turn of the century choices in prefinished flooring have grown enormously, but you won't find them at your average carpet store. 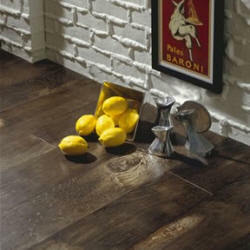 Hand Scraped/Distressed floors are the current rage in Southwest Florida along with wide plank flooring. (1) With direct gluedown prefinished floors a 24 hour waiting period is advised for the adhesives to cure and bond. Failure to do so may cause boards to separate from one another.